I write to you at the end of a very long day. 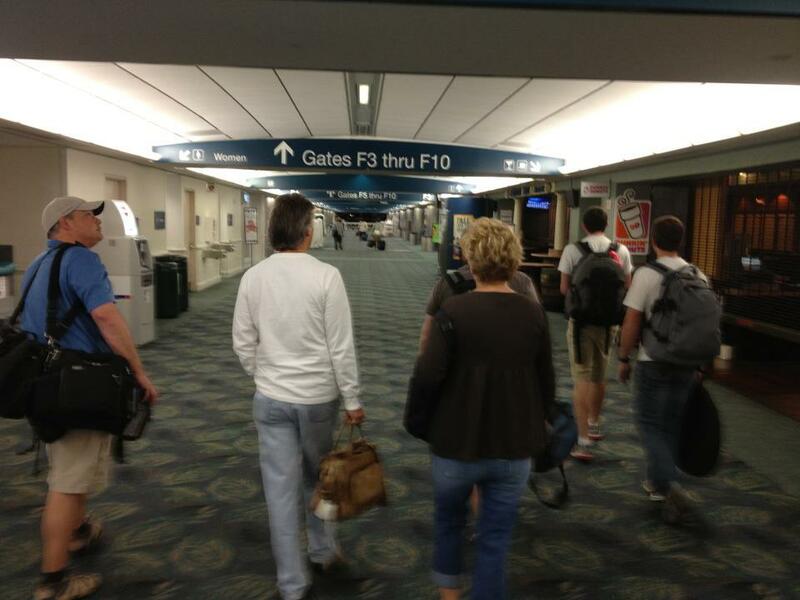 We started today at 3:00am (for us) and flew out of Ft. Lauderdale. We got to the airport really early but took some time to review our sign language and Creole. The flight was good. 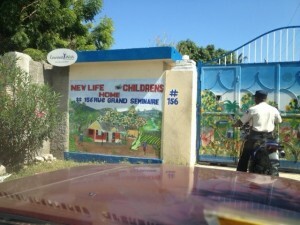 We arrived around 10am and made our way to the New Life Children’s home where most of Frazer’s teams stay on our trips here. The compound includes a guest house, church, garden and orphanage. It’s walled and there’s an armed guard at the gate. 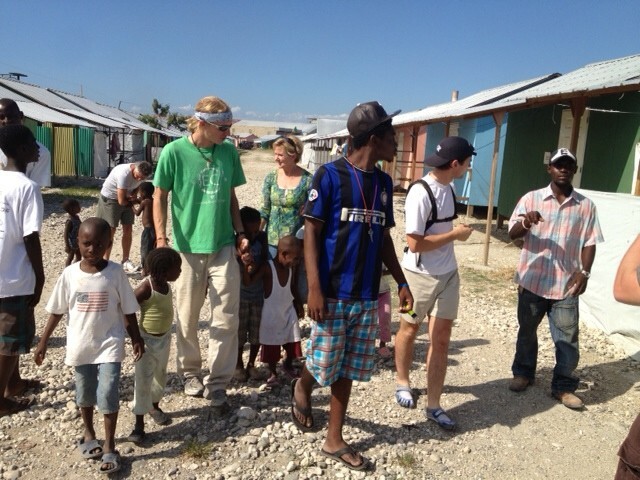 There is no better place for mission teams to stay at Port Au Prince. Kyle met us in the airport and we were escorted from there by our Haitian police friend who is lovingly referred to as “Mr.T.” Once we got to New Life we sat down and Kyle told us a little about how things were going to go. He told us that the leadership of the deaf community volunteered to organize the people in the community to be ready to have the photos taken. seem like very smart, determined people. 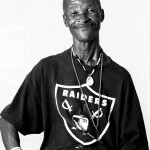 Mackenson St.Louise is one of the leaders and he is determined that the community learn English as well as French, Creole and Proper American Sign Language. 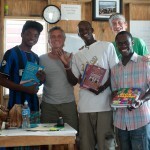 In an effort to help in their endeavors we delivered to them several books that help teach proper sign language. They wasted no time as soon as we were done they they all took one of the books and set down to read them. It was awesome to watch them as they devoured the books – each of them was trying out the signs depicted in the books and then showing the others. Josh Brewer, our wonderful translator was there to translate several amazing stories as the leadership council each shared where they were during the earth quake and how they came to the deaf community. You can hear more about Mackinson’s awesome story on kyle’s blog. The team and the members of the deaf community were fast friends as they were all telling us stories and asking us questions. Many of them sat with us as we all hand-spelled our names and made what conversation we could. It was an enormous blessing. We took a tour of the community were we saw that a number of the people there have already started their own micro enterprise – artisans hocking their wares, other people selling other kinds of goods – there’s even a local pub. Finally we started taking photos. God really provided for us in a cool way when it came time for us to decide where we were going to shoot. Since the first meeting we had been wondering were we were going to stage the photos, originally thinking that we’d try taking them totally outside in front of the T-houses you see in the above picture. 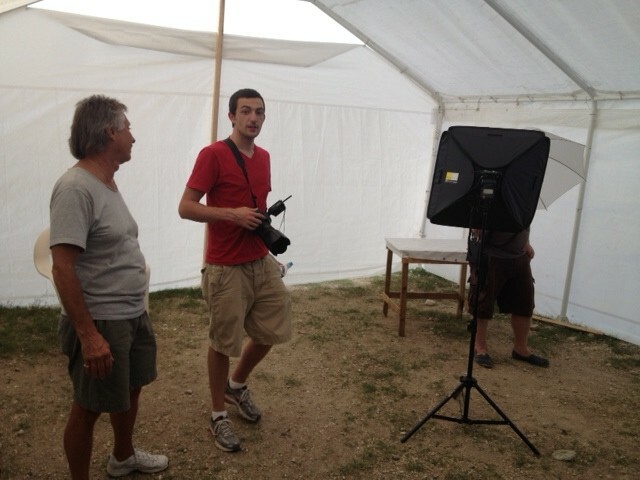 But when we got there we found out that just in the past few weeks a new tent had been donated by UMCOR (woot! woot! UMC represent!). The tent was the perfect size and opacity; It provided a great back drop with a neutral white and wonderful diffused light that allowed the photographers to set up a single flash and take pictures that look exactly as if they’d been taken in in a studio. It didn’t take long for word to get around the camp and soon Billy, Lori and Nick had their hands full with families wanting their photos taken together. Diane was busy taking names so that we were sure to match up the photos with the correct households when we return with the framed photos in December. I acted as a light stand for much of the afternoon. Butch was doing crowd control and Josh was in the middle the whole time, making sure that everyone was understood. 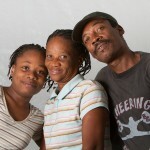 I wish I could tell you how amazing it was to take photos of these people and show it to them. Though none of them speak english – and many of them don’t speak at all – we could all see the joy in their faces as they each saw a photo of themselves. All of them were very thankful. It was funny to see the number of things that are universal – the awe of an elderly couple looking into each others’ eyes in one photo, teenagers refusing to smile in a family picture and the fact the everyone feels joy knowing that they’re worth photographing. Here are a few of the photos from today – all three photographers contributed a great deal today. These three photos were taken by Billy Pope. You can see the larger image by clicking on them. Keep in mind these were all taken in the same tent in the deaf community. Tonight we had the blessing of joining the children at the New Life Center for their evening devotional. 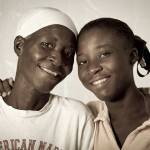 Though the whole thing was in creole, I was still struck by the sincerity of their faith and the universality of our God. As the team leader I was asked to stand up and tell the kids who we were so I explained through a translator what we were doing and introduced the team. After the devotional each one of the children approached each one of us to wish us ‘good night’ or ‘god bless’ in english. It was a really cool experience. over all it was a really good day – we’re all excited to get back out there tomorrow, but the whole team is really tired. Even as I finish writing this a little after 9, I’m the last one awake. Thanks for your continued prayers – we’ve been feeling them! God is doing a great work here!